National Testing Service (NTS) has announced the written Test Result of Food Directorate Khyber Pakhtunkhwa, Peshawar Recruitment Test. 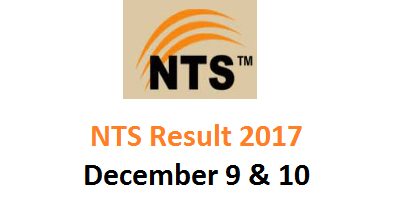 These tests were organized on Sunday, the 10th December 2017. The Jobs of following posts were advertised in the national news dailies. Write Your Roll No. or CNIC to Get Result Online. NTS has also declared the screening test of jobs in Khyber Pakhtunkhwa Technical Education & Vocational Authority (KPTEVA). The posts of the following were included in the written tests. These written twsts wer held on December 9th and December 10, 2017.